Shoulder Fractures are among the most common breaks of the human skeleton. Fractures may occur at any of the bones which constitute the shoulder, but the clavicle (collarbone) is the most commonly injured. 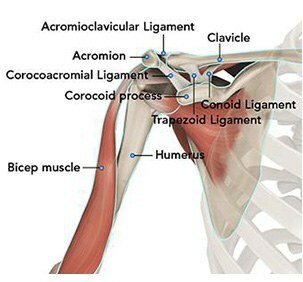 The second most common area injured in the shoulder is the proximal portion of the humerus. 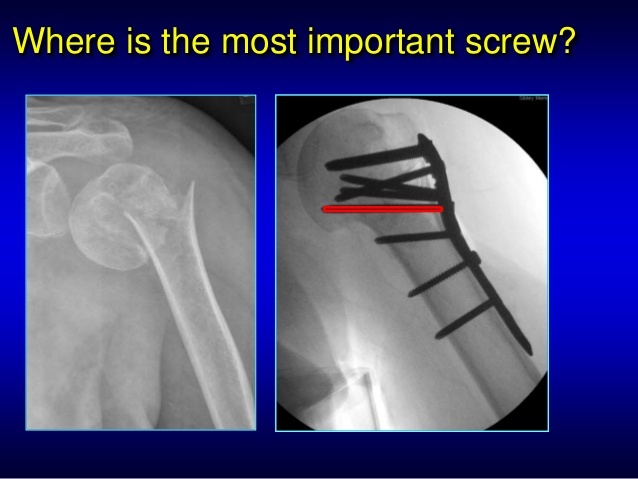 Fortunately, most fractures of the shoulder respond to treatment without surgery. Patients with fractures of the shoulder complain of pain, bruising, and often deformity. The weight of gravity on the arm causes increased discomfort. X-rays of the shoulder are typically utilized for evaluation. Although x-rays do not image the soft tissue of the rotator cuff, they can add information regarding the presence of arthritis, fracture or dislocation. Often x-rays may be the only study required for evaluating shoulder fractures. A routine frontal view of a fracture of the greater tuberosity in image 1. Image 2 shows the detail of a proximal humerus fracture comparing the routine x-ray and a 3D CT reconstruction. As discussed in the image above, most shoulder fractures which are non-displaced or minimally displaced do not require surgery. These injuries are immobilized for comfort and once comfort is obtained a rehabilitation program is begun. Patients are instructed in range of motion and progress to add work on strength. These programs can often be performed at home. Recovery and return to sport varies but ranges from 8-16 weeks. Displaced proximally humerus fractures may be candidates for surgical stabilization. In younger patients, plates and screws are the most common technique among many. In older patients, shoulder replacement, particular reverse shoulder, may be the treatment of choice. A displaced left proximal humerus fracture viewed from the front left image. 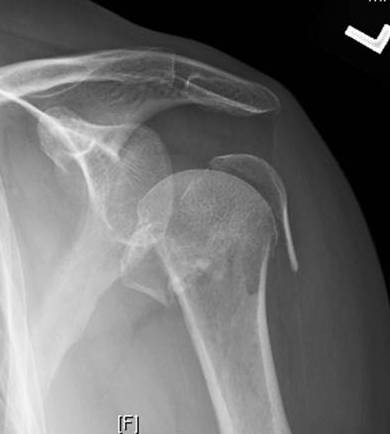 Same shoulder after application of plates and screws and realignment of the fracture. Many studies have shown that patients can successfully rehabilitate their shoulder on their own at home. 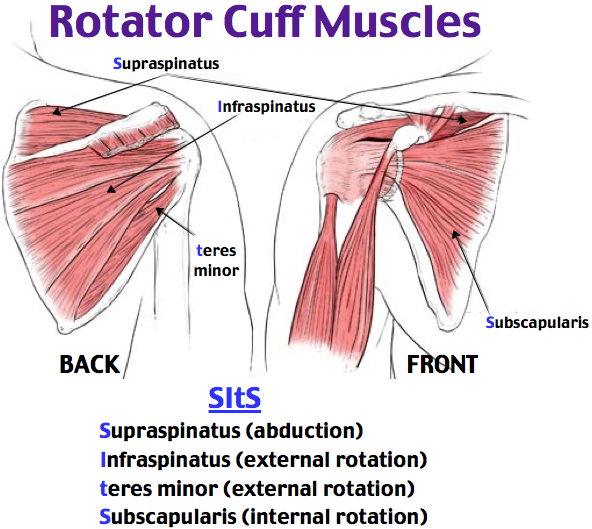 Patients are typically guided through a therapy program and weaned from their sling over the first 8-12 weeks. Bone healing typically requires 6-10 weeks. Ingrowth of the tendon typically requires 4 months and patients, although direct ligament repair may occur somewhat sooner. Patients that continue to work on motion and strength show improvement for up to 1 year after surgery.